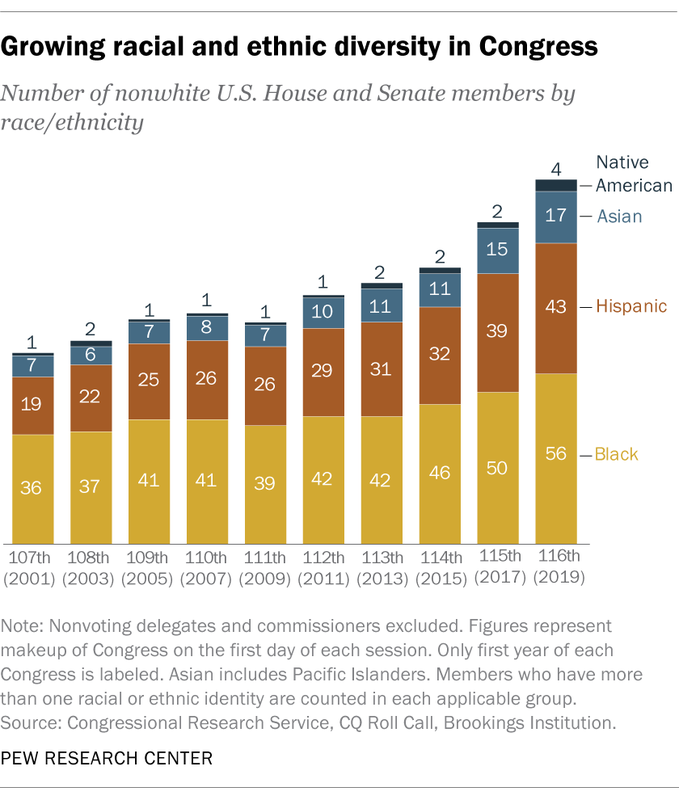 Non-Hispanic whites make up 78% of voting members in the new Congress, considerably larger than their 61% share of the U.S. population overall. 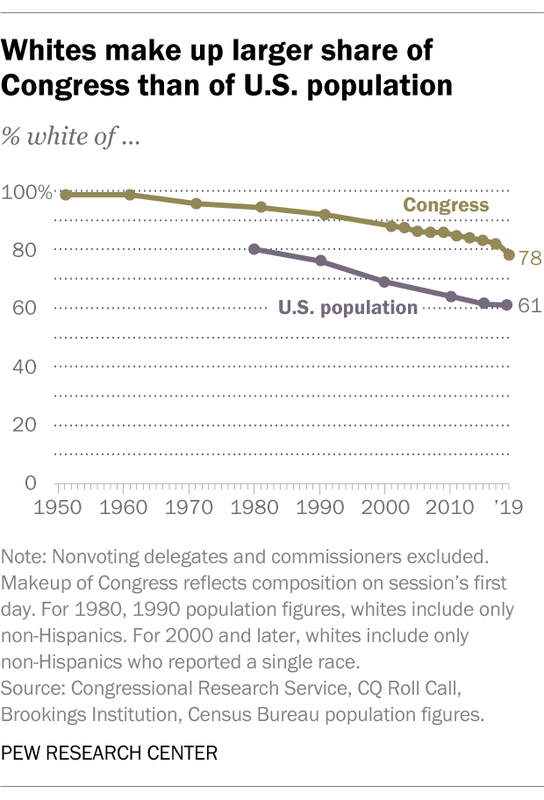 And despite the growing racial and ethnic diversity of Congress, this gap has widened over time: In 1981, 94% of Congress was white, compared with 80% of the U.S. population. This analysis includes a few members who are counted under more than one racial or ethnic identity. In addition to Harris, Rep. Robert Scott, D-Va., is counted as both black and Asian. Reps. Antonio Delgado and Adriano Espaillat, both New York Democrats, are listed as black and Hispanic. Espaillat, the first Dominican American elected to Congress, self-identifies as a Latino of African descent. Portuguese American members are not included in the Hispanic count. 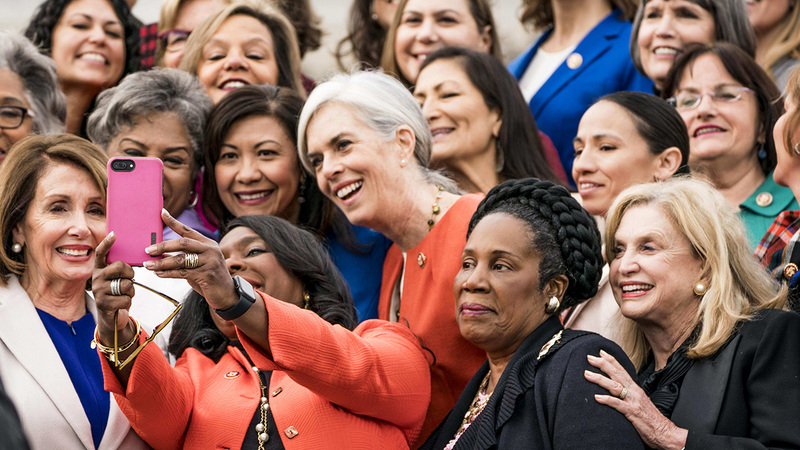 In addition, one disputed seat in the House – North Carolina’s 9th District – is not included in the total number of voting seats.